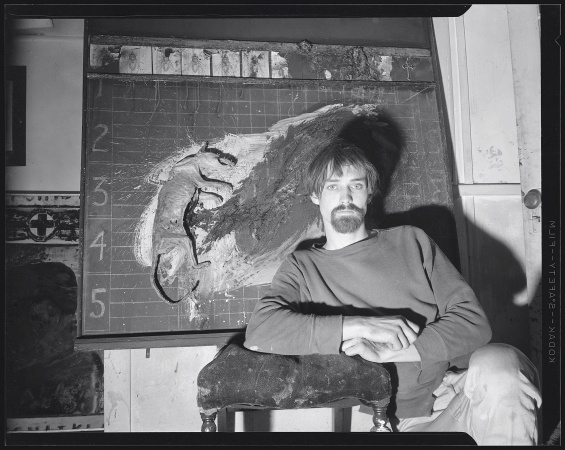 On the occasion of his retrospective exhibition at the New Museum, the influential painter and musician Llyn Foulkes will speak about his life and work. The exhibition was made possible by major gifts from Susan Steinhauser and Daniel Greenberg/The Greenberg Foundation in honor of Mickey Gribin; Kayne Foundation—Maggie Kayne; and the Andy Warhol Foundation for the Visual Arts. Education and public programs at the New Museum are made possible by a generous grant from Goldman Sachs Gives at the recommendation of David B. Heller & Hermine Riegerl Heller.